MiLB Mailbag – Episode IV: Did the Cubs Get Power Arms in the 2018 Draft? My initial response to this question was, outside of Riley Thompson, no. But as I began to think more and more about the newly drafted pitchers that I saw at Eugene last summer, most of those guys were on innings limits. And they had played a whole season, shut it down, and then had to start it back up In a fairly quick turnaround. I think 2019 is going to tell us a lot more whether they drafted some power arms. Only a couple of the drafted starting pitchers the Cubs took last year saw a lot of action at Eugene. Riley Thompson was impressive as he sat 95 most games. Second round compensation pick Paul Richan cracked the 90s sitting around 93. But I think the bullpen arms at Eugene were quite impressive. I think they’ll even be more impressive next year at South Bend. 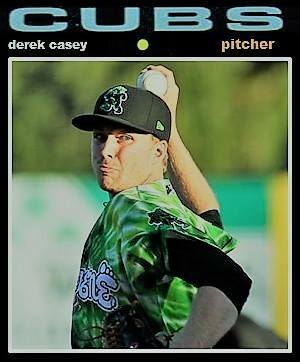 Out of all the guys the Cubs picked, Derek Casey might be the best of the lot when it comes to pitching. He’s not overpowering but he does pitch on a downhill plane which makes him hard to square up. He didn’t even pitch 10 innings for the Emeralds. In fact at one point, he was shot down for about six weeks. After Archie asked me the question, I cranked up the old MiLB TV archives to go back and check out some of their outings. I was a little surprised at some of the velocities that Emerald’s broadcaster Matt Dompe putting out. For example, eighth round pick Zach Mort was regularly hitting 94 on the gun. I don’t remember him getting up that high. Before I rewatched some games, I remember Cam Sanders as having a live, loose arm. Sanders’ biggest problem was his command. As for Ethan Roberts, I remember him pitching more for Tennessee Tech in the College World Series than I did for Eugene, probably because he entered Eugene’s games past my bedtime. But when I re-watched some of Robert’s outings, I came away impressed with his cutter that has some nice sharp left turns in it. Both throw in the low to mid-low 90s. 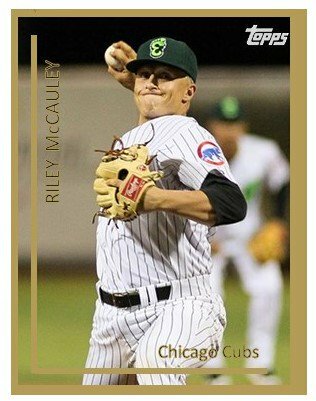 14th round pick Riley McCauley out of Michigan State was impressive for most of the summer as he did not allow a run until his last two appearances. He worked in the low to mid-low 90s. For a 14th round pick, I think the Cubs got good value. It’ll be interesting to see how he reacts to being a full-time professional baseball player in the spring. 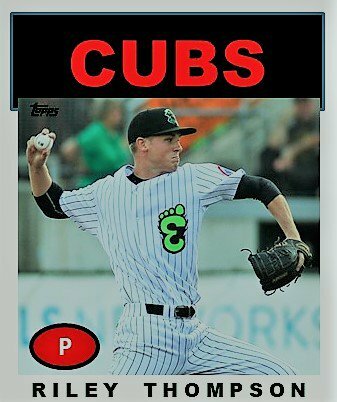 Left-handed pitcher Jack Patterson from Bryant University, who was a 32nd round pick, was impressive for Eugene the last couple weeks after playing most of the season in Mesa. He’s not going to blow anybody away, but he is going to pitch. He knows his way around the strike zone and how to keep hitters off balance and has a beautiful breaking ball. As for the guys that were drafted and played down in Mesa, I was unable to get a look at them but some of the stats they put upe’re eye-popping. Lefty Chris Allen put up a 0.63 ERA in limited work in Mesa. Kohl Franklin had a rough July but an outstanding August for the Cubs 2 team. Franklin gave up just 1 run in August. But there are two guys I want to see at South Bend next year more than anyone and that is to relievers who are shut down after pitching in the College World Series. Right-hander Jake Reindl closed for Arkansas and lefty Josh Sawyer pitched late in games for Texas. I am pretty excited to see what both can do when they begin their careers, hopefully at South Bend. It’s an odd class in that pitchers were taken throughout the draft. In 2016 and 2017, all the arms were taken at the top of the draft. The 2017 class’ pecking order was kind of established before the even set foot in South Bend in 2018. When it comes to 2019, not sure how it’s going to break down just yet for this class. Seeing all these guys in their full season debuts should be eye-opening and also exciting to see what the young guys can do. 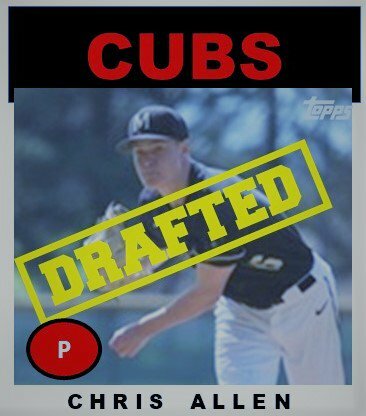 And, then, we will finally see just what kind of power arms the Cubs truly got in the 2018 draft.